Bank of Baroda (BOB) Recruitment 2018 | Wealth Management Vacancy: Bank of Baroda (BOB), has published recruitment notifications for below mention Various posts. Following posts of Specialist Officers in Wealth Management Services in Bank of Baroda on contract basis. More information please read below mention Official notification carefully. 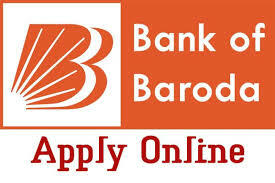 How to Apply : Apply 'ONLINE' only at Bank of Baroda website from 16/04/2018 to 06/05/2018 only.